Are Web Customers Finding Your Competition? How are Your Google Rankings? We Can Help You Get More Business! With CMO's IntranetSite you not only get a public website but also a private management backoffice system. CMO can redesign or emulate your current website or create a completely new one. Your company logo, graphics and content can be integrated or new content created by our design team. Our goal is to not only design you a great looking website but also help generate more customers! Click to see who won the "2008 Top 100 Website Winner"
CMO can provide you a series of professionally written cabinet shop industry specific articles for your website. You can edit or add to your collection. These resources help your customers with ideas and advice and register them as new customer leads. A goreous website is absolutely useless in generating business if potential customers can never find it. Once your website is designed the content needs to be optimized for the Internet search engines like Google and Yahoo. CMO can help you with search engine marketing, generating new leads and newsletter or client followups. Customers like to see your finished products. It would be nice if they would visit your showroom but to get them there a nice collection of well taken photos can really make the difference. CMO's IntraPhoto galleries can be installed on any of your web pages. Behind every public website CMO builds for you is a private management system. 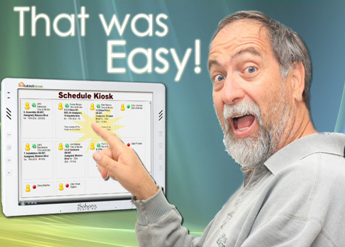 For a limited time you will have time to explore and use all the features including the live task scheduling, collaborative calendars, live data job specification sheets, shop kiosk, secure internal intramail and much more. When you are ready to take advantage of these powerful management features they are there for you to test out during the trial period. Do Not Wait Any Longer - CMO Can Help Your Business Grow! Click here to request more information now!